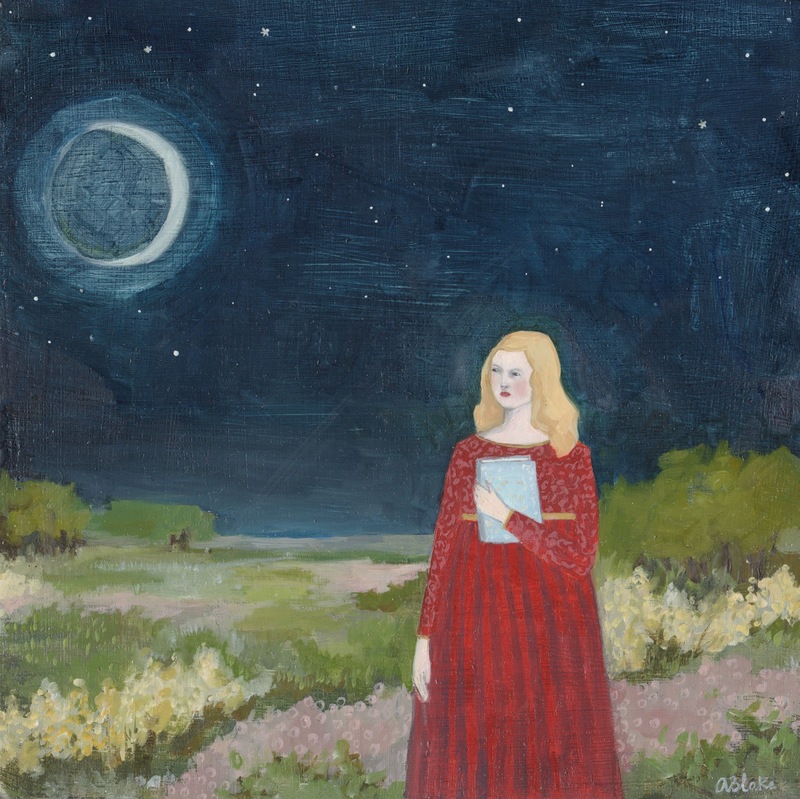 "she looked to the moon for answers"
Like so many of my paintings this piece is about the search for meaning and a need to understand. And like all the people in my paintings I think she gets the answer she's looking for. This is one of several new pieces available through Sebastian Foster. I also have four new prints available through both of my shops. They are all open edition and printed on standard size paper, ready to frame in store bought frames. Priced at $25 to $30. I'll be adding a few more available images over the week. Hope all my readers affected by Sandy are doing well. My thoughts have been with you.